Mutton soup recipe prepared in south Indian style is a very simple recipe popular in hotels, restaurants in Tamil nadu serving non-vegetarian food. Mutton soup is a popular street food all over Tamil nadu available at a very reasonable price.Mutton soup is hot and spicy which increases appetite. This mutton soup is served in most of the family occassions in both rural and urban areas of Tamil nadu. Using rice washed water gives best taste and flavour. 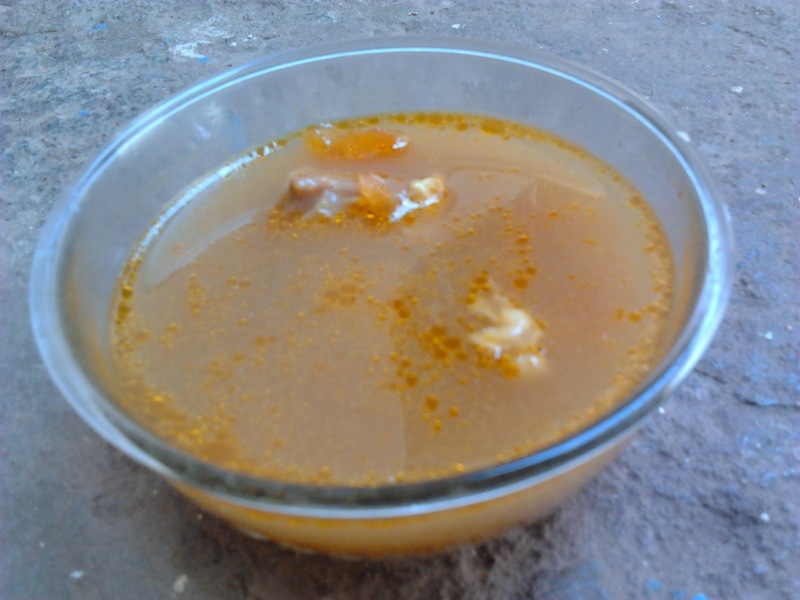 Try this simple and healthy mutton soup recipe and Enjoy Cooking!!! 1. Wash mutton pieces well in cold water. 2. Take a pressure cooker and put all the above ingredients together. 3. Pressure cook for 10 to 15 minutes depending upon the mutton tenderness.